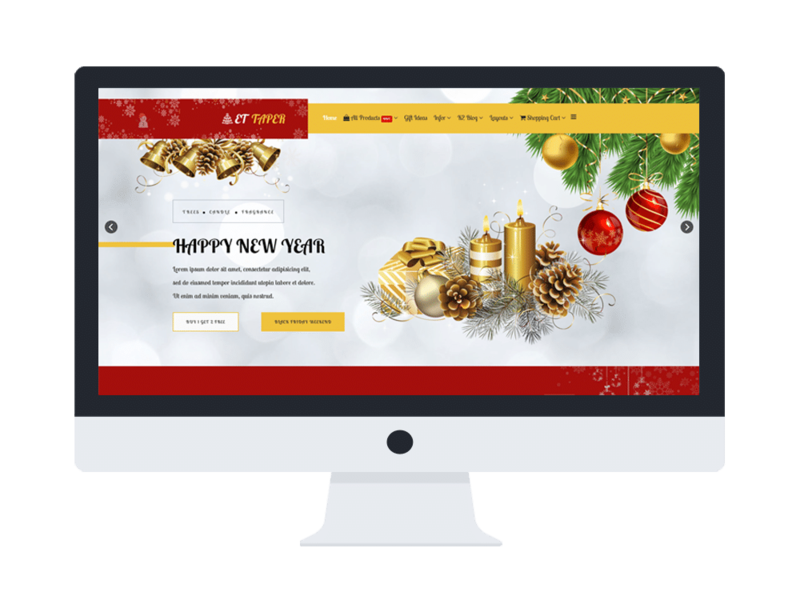 ET Taper is a lovely Joomla Christmas Candle website template which has been specially designed for this Christmas day, you can use this theme for selling anything you want in Xmas, such as candle, stocking, clothing as well as decoration tools. Providing you with an amazing and friendly appearance, ET Taper is a perfect option for you to change your site look in this special day and show off your store products in a beautiful and efficient way. This theme has a really good content organization, with eye-catching navigation effects among sections, therefore, you can introduce all kinds of your store information to customers without boring them by a wordy site. Developed with the latest website technologies such as Helix Ultimate, Support Font Awesome and K2 extended style, ET Taper also offer you a pretty look on mobile devices, with fully responsive layout. It is not easy to find out an awesome theme that can adapt all of your needs. Just go and give it a look now!